These are the two boys that we rescued a few weeks back. Their gentling process is in full swing and they are responding very well. 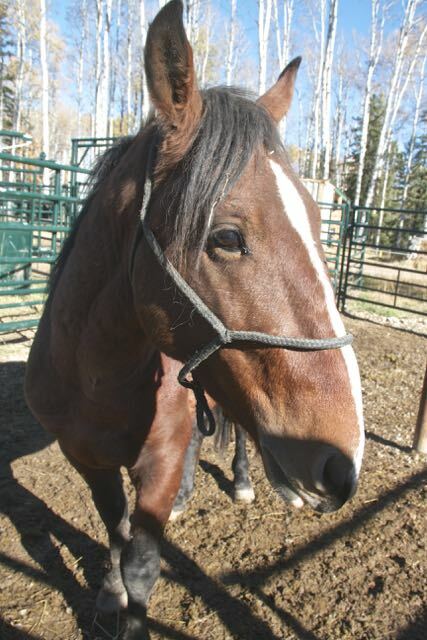 They are taken into their stalls in the barn for feed and grooming in order to get used to the human touch. 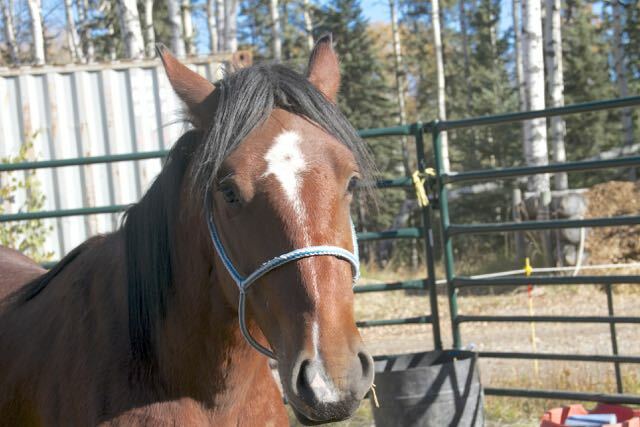 Soon they will be gelded and with a bit more time will be ready to be adopted to go to their forever homes. 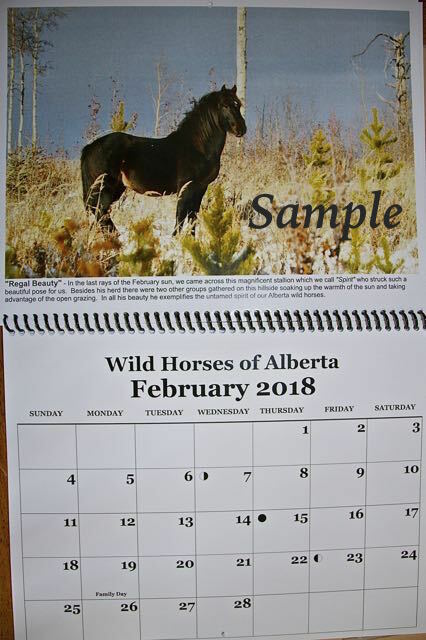 A small way that you can help these horses is by the purchase of our annual fundraising calendar. 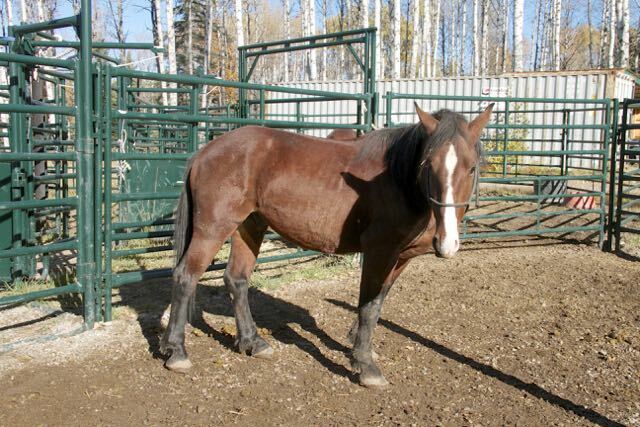 All the money raised by the sale goes directly to our programs – adoption/rescue and contraception. These are the programs that will assure that the wild horses of Alberta remain forever on the landscape for generations to come. Your support is important. They also make excellent gifts for Christmas, for example. 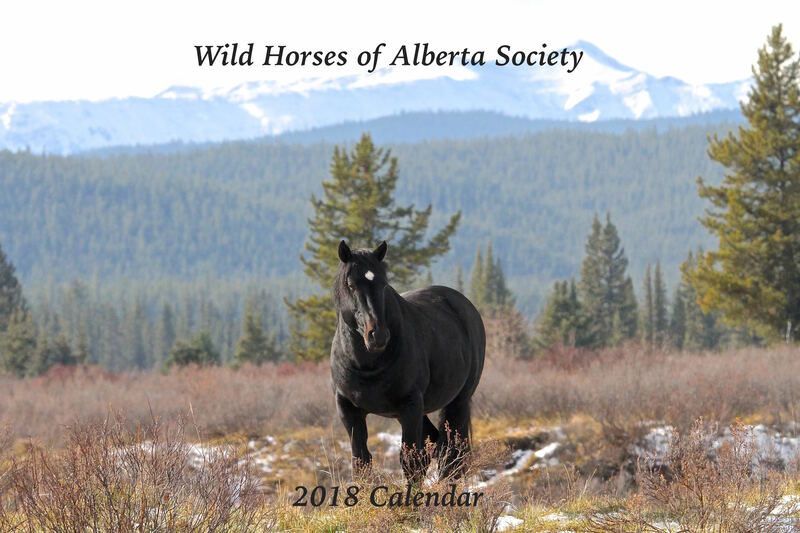 You can find them for sale at the Millarville Xmas Fair, November 9-12, at the Sundre Museum, at the Olds UFA or order them via PayPal through our link at the top of our page. 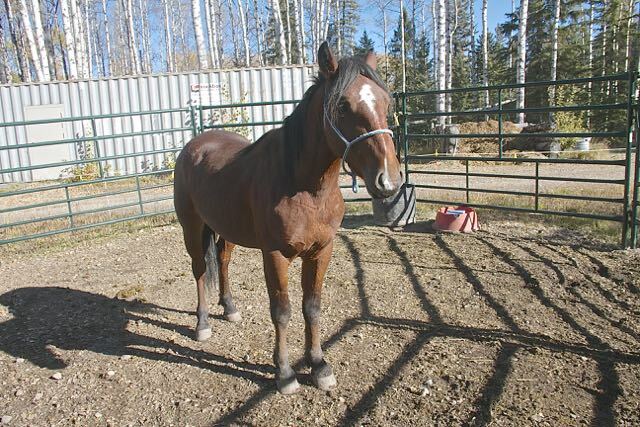 You can also send a cheque or money order to WHOAS, Box 4154, Olds, AB T4H 1P7.